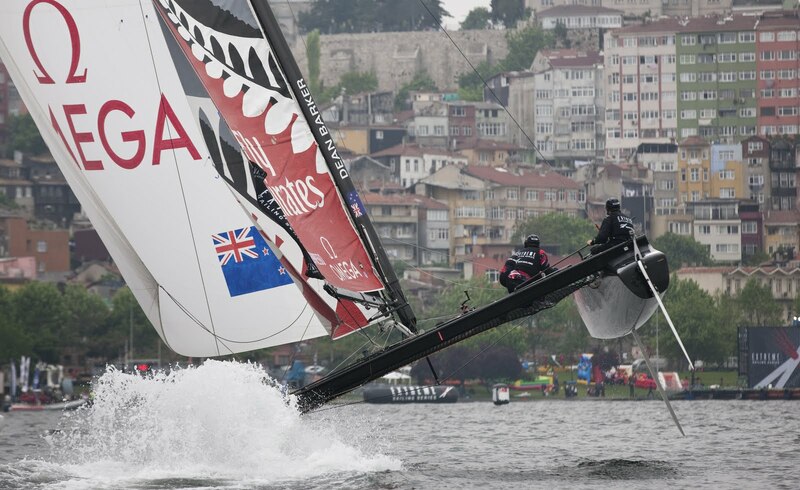 Dean Barker and Emirates Team New Zealand have leapt to the top of the ladder ahead of Artemis at the Extreme Sailing Series in Istanbul after another tough at the office. 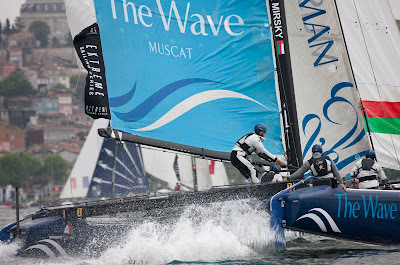 But nipping at his heels is Australia's Torvar Mirksy, Skipper of The Wave, Muscat who has moved into third position. The excitement kicked off early as the teams faced off in two one-on-one speed duals in ten knots of breeze followed by eight fleet races in what turned into a dying wind. 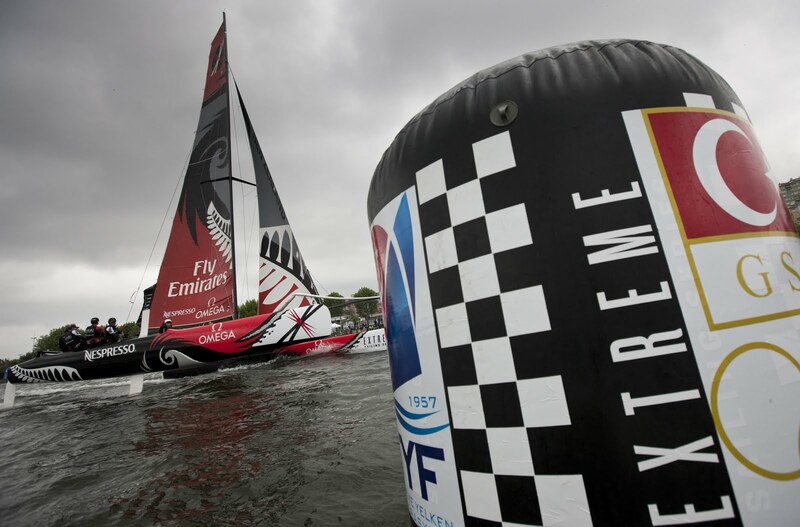 In the tenth and final race of the day Emirates Team New Zealand and Artemis Racing were tied on 217 points with Groupe Edmond de Rothschild behind on 214. The Kiwi's led from start to finish while Artemis only managed a fifth and Pierre Pennec’s men a ninth after copping a penalty on the first upwind beat. 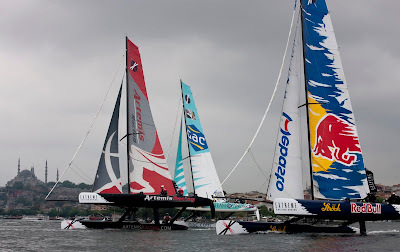 Luna Rossa entered the final race on equal points with The Wave, Muscat but it all went pear shaped when they picked the wrong end of the start line. Mirsky cleverly took advantage of the Italian's woes to finishing in third place catapulting his position to third in the overall rankings. Other possible contenders for a podium finish include Roman Hagara’s Red Bull Extreme Sailing on 187 and Team Extreme with points for redress (compensation for their crash) on 177.6 (they get 5.2 points per race). Oman Air is on 170 after a mixed day of results, Alinghi on 161 followed by Team GAC Pindar on 160 who had some great moments and has held off Niceforyou on 153 points.